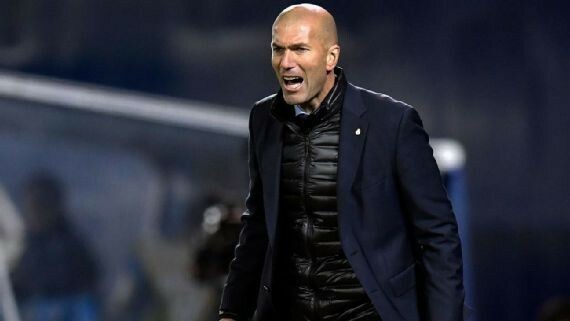 Real Madrid interim manager Santiago Solari has told fans not to compare him with former boss, Zinedine Zidane. Zidane left Santiago Bernabeu in the summer after leading the club to a third straight Champions League title. He was replaced by Julen Lopetegui who lasted for only 14 games before being sacked. Solari is standing in as interim boss. Just like Zidane, Solari has been promoted from Castilla manager to the Real Madrid first team. Asked if he could achieve the same success as the Zidane, Solari quickly put to bed any comparisons. “Leave Zizou in peace,” he continued. “He is one of Madrid’s greatest ever figures,” he told press conference ahead of Real Madrid Copa del Rey clash with Melilla. Real Madrid will travel to Morocco to face Melilla in the Copa del Rey on Wednesday.